NCAA College football has become one of the premier sport outings of the American lexicon over the past few decades, with memorable moments and dominant performances. It’s become something to look forward to, the polls have become something to set your clocks to yet fragmentation comes now so constantly. It all started last year, when the come from behind program Nebraska decided to take it’s ball and move to the Big Ten. With this, teams saw a way out of their abysmal situations. What followed was TCU moving over to the Big East from the much less profitable Mountain West. Those two schools led the way for what now is becoming a Conference Lottery of sorts. Texas A&M, a Big 12 staple for decades has now made the decision to become the first Texas team in the SEC conference. Likewise, the Pac 10 became the Pac 12 after incorporating both Utah and Colorado and more media rights will follow those schools. I know most people look at this as a competition issue, that the teams leaving are doing so because of a more equal playing ground or a bigger challenge. That perhaps is true in some instances however, as is with anything in a capitalist form of economy: they do it for the money. Once a team goes into a new conference, new media deals come to them. With that, more exposure and most of all, more recruits. More recruits equals more money and if you’re successful in your sport, you get even more endorsements from clothing companies to sponsor your gear, more television rights and more merchandise sales. Especially in the case of Utah and TCU, they were in dire need of expansion. Both teams have shown amazing success in their programs and the moves now mean they get compensated for their work and their image improves greatly. Now more potential players can tote that they’re in bigger, more prestigious conferences and give them more of an opportunity to be known. Of course, Texas A&M has a similar but more rocky story. For the Aggies, this means less drama and more of a chance to be a force in a conference. With being part of the SEC, A&M finds itself in an incredible monetary place. Their place in the Big 12 was dismal at best, almost seen as foder for Texas and Oklahoma as well as all the other “high profile” teams in the conference. Now, they find themselves in a thriving and always notarized SEC with incredible programs and even more incredible exposure. A&M can finally be seen as a big name school instead of the bottom of the barrel in a fragmenting conference. This leads me to both Oklahoma and Texas. They’ve become the latest names in the restructuring conversation after both Syracuse and Pittsburgh moved to the ACC conference this week. As far back as bowl season last year, Texas and the Pac 12 were in deep talks about them joining the conference and leaving the Big 12. This led to both Missouri asking to leave and become part of the SEC and also Oklahoma lurking for a new home. It’s well known both Oklahoma and Texas are the two powerhouse programs for the Big 12: losing them means losing a massive part of your revenue. So, negotiations have begun to heat up as the new season began and continue. Just today, a press conference for the Big 12 was called and the idea is that the remaining programs are to give up all media rights to the conference insuring they stay with the conference. This is as secure as a conference can really be at this point, with teams finding any loophole they can to find a greener pasture. Oklahoma, now ranked #1 in the country, seems to be reveling in the newfound attention they’ve gotten. They know that a move from the Big 12 at this position would be the death nail for the group. So what does all of this mean? It means football is changing. It’s gone away from the deep, honest competition and degenerated down to what all of America is: a corporate joke. Don’t get me wrong, I’m excited about all of this restructuring, it’ll revitalize the whole landscape of college football and I think that’s something that’s been needed for a great while. However, it also opens Pandora’s Box for any team to go anywhere they please in the name of a dollar. I think that when you’re a small school in a small conference that suddenly finds great success, a move is a must. TCU and Utah did absolutely the right thing in leaving the Mountain West, recruiting is so much more difficult when you have no strong conference to call home. For them, this is a new life and a new, bigger opportunity to be a national powerhouse, the same with Nebraska and Texas A&M. However, the large schools flirting with relocating have become just another robber baron in disguise, wanting to make more money for less work. This has become “Oklahoma’s name means more” versus “Oklahoma can do well in a small conference”. I’m not a Pac 12 hater however I think it’s pretty obvious that the competition for Oklahoma in such a place or even Texas for that matter is just not even close. The Pac 12 has a whole different style that the more pro-oriented Oklahoma and Texas units would have a field day on. In the end, it’s excitement but it’s also despair. 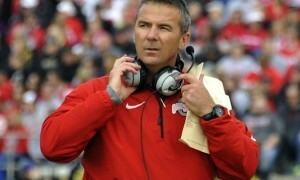 Is college football going to evolve or will it crumble under the earthquake of change? Follow George at – http://wrestletribune.blogspot.com & on Twitter @WrestleConsent. 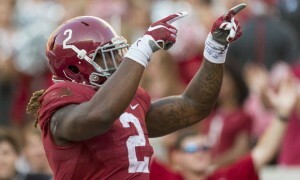 SEC Football: Can Alabama Continue to Impress CFP Voters?